Polished to perfection, these hoop earrings will bring style and sophistication to your wardrobe. 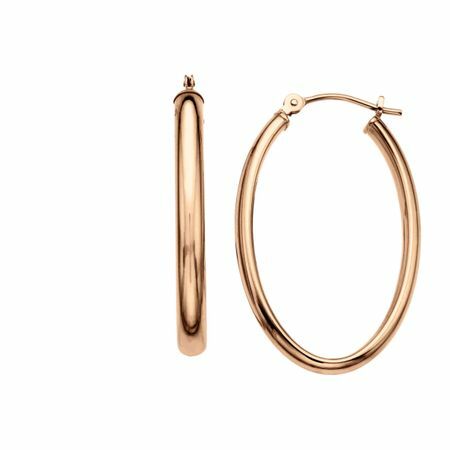 These hoop earrings feature a sleek design and are crafted in 14K rose gold. Pieces measure 3/4 by 1 1/8 inches.